Gate valves have many advantages over other styles of valves. 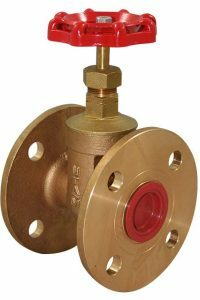 They are an economical choice of valve, especially at larger sizes. They can also protect systems from water hammer due to the longer time taken to operate the valve and therefore slower shut-off speed. Gate valves can be used for many different fluid applications and provide a tight shutoff. From brass to cast iron to cast steel, screwed or flanged, BME can provide a gate valve to suit your needs. As the UK’s market leading valves wholesaler, Leengate Valves have a wide range of stock from leading international valve manufacturers, available at a competitive price. Leengate Valves are approved to ISO 9001 standards, and all manufacturers are approved by bodies such as API, BS, Lloyds, DNV, ISO, TUV and GL. As a partner of Leengate valves for Scotland, BM Engineering Supplies has access to the comprehensive range of products – including their exceptional gate valves – as well as the next day service offered by Leengate. This allows us to provide our customers with a quick and efficient service. BM Engineering can supply a range of rugged and reliable gate valves. For example, we can offer the LV 1151 from Leengate Valves. These gate valves feature a bronze body and bonnet, cast handwheel rated PN16 and can operate at temperatures of -10°C to 150°C. The LV 1520 bronze gate valve, which features a full bronze body and bonnet, lockshield and screwed BSPP. This particular model is PN20 rated and can operate within a temperature range of -20ºC to 180ºC. Speak to an experienced and knowledgeable BM Engineering Supplies adviser today and we’ll happily guide you through the selection process to find the ideal gate valve for your application. Call us on 0141 762 0657 or email sales@bmengineering.co.uk for more information. Can gate valves be throttled? A gate valve can be used for throttling. However, this can only happen when the valve is in an almost shut position, this is where most of the flow reduction occurs. Are gate valves full bore? Yes, when the gate valve is fully open the valve is full bore, meaning there is nothing to obstruct the flow because the gate and pipeline diameter have the same opening. Can a gate valves be repaired?